Baba Abdul Rahman, Ghana’s young, precocious left back, claims he left Chelsea on loan after new manager, Antonio Conte told him he was too attack-minded. The Ghana international, who previously played for Augsburg, has returned to Germany for a season-long loan with Schalke. 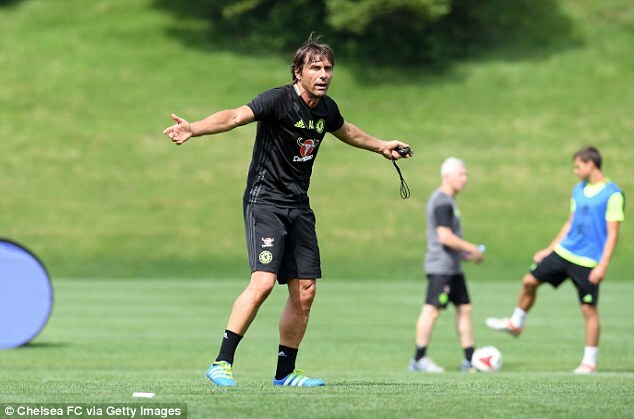 ‘Chelsea manager Antonio Conte told me that he wants his team to be very defensive, but I am a rather offensive full back,’ Rahman told Ruhr Nachrichten. ‘So I would have had very little playing time. Conte advised me to leave on loan. We will see what happens after this season. Rahman will link up with his former Augsburg manager Markus Weinzierl, who took charge of Schalke earlier, this summer. Weinzierl is looking forward to working alongside Rahman again, telling Schalke’s official website: ‘Abdul is an attack-minded left full back and I am absolutely convinced about his qualities. ‘A lot of players in England are very powerful, whereas in Germany you see some better football,’ he said.